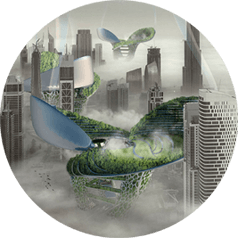 The Independent & Self-Sufficient scenario is based on an assumption that every building in the future is going to become an autonomous unit, i.e. it is going to be able to operate regardless of external infrastructure. Any outside threats or even weather changes will not have any impact on the comfort of building users. The entire building is going to be managed by an intelligent supervision system constantly balancing building's operation and it will be able to automatically respond to external conditions by using sensors and provide security, energy efficiency and maximal comfort. 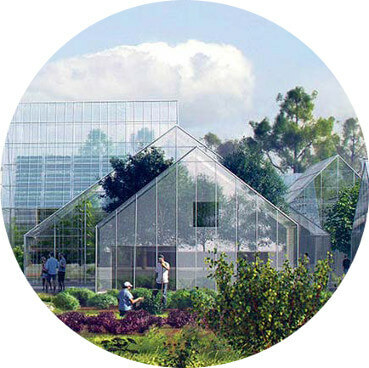 Additionally, the buildings are going to become places in which one will be able to cultivate or produce food; the number of proponents of vertical farm concepts (for cultivating vegetables and herbs, for instance), frequently combined with aquaponic farms (an internal system for raising fish and seafood) is significantly increasing. In such office buildings the sense of security of their users is going to be very high, since it is going to be impossible to disrupt one's operations in case of unexpected events: cataclysms, sudden weather changes, terrorist attacks or even mere breakdowns. 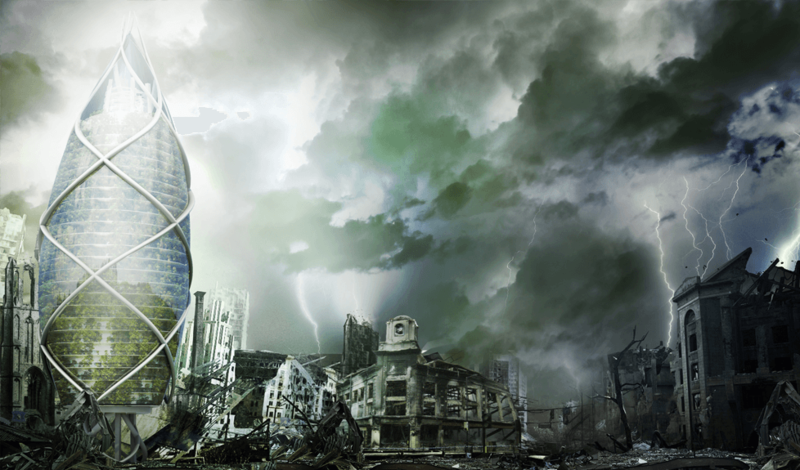 The designed building is a form of a survival structure for human race in case of a cataclysm. 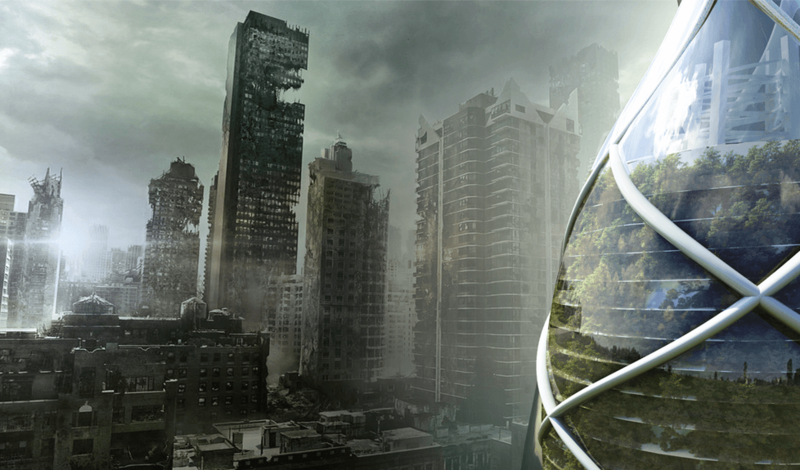 The building employs defensive mechanisms and those enabling survival, which were previously used by plants. It enables survival inside it for an unlimited time assuming its growth by 1% per annum (in compliance with average natural growth). 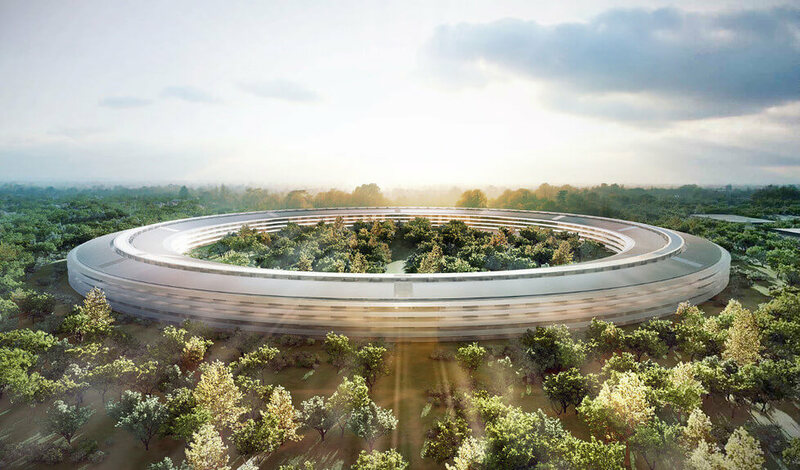 The building breathes, digests, feeds and defends on its own, among others, it filters the air using its external façade coat, and it recycles waste and water. 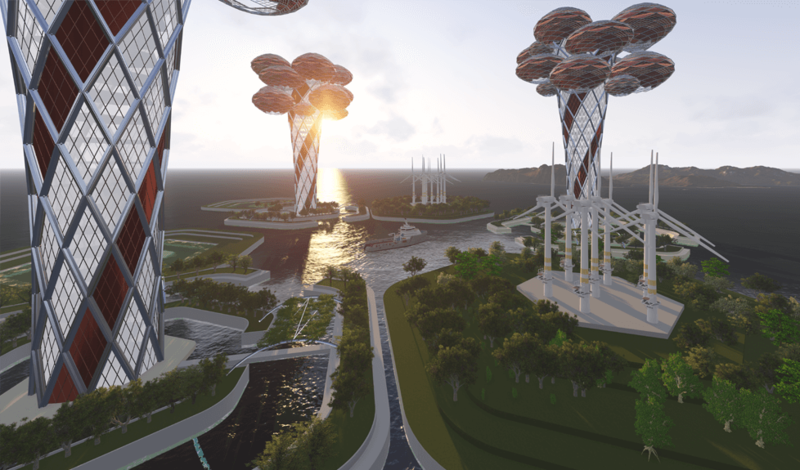 The self-sufficient city-building on the sea is a new place to live after cities are flooded. 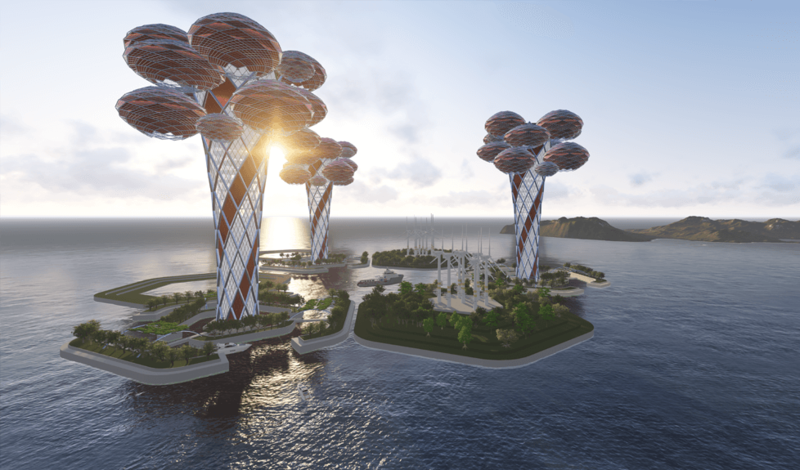 The structure's foundation is located at the bottom of the sea and the highest storeys extend beyond the water surface. 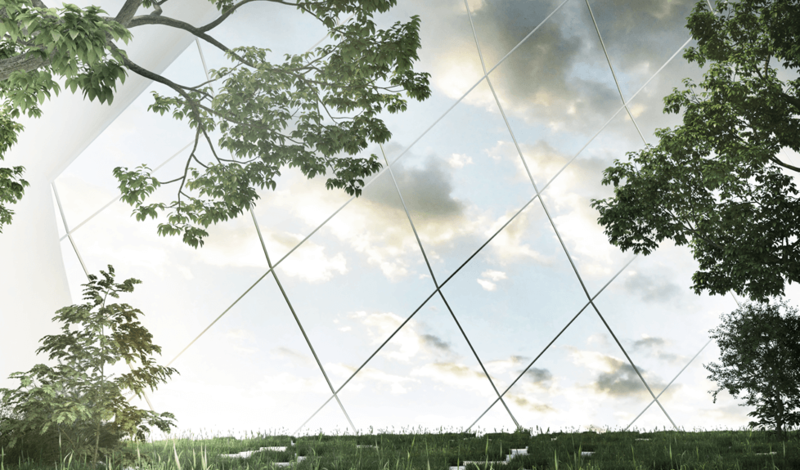 The building is inspired by the shape of a tree: its shaft grows out from the water and its top is covered with bubbles acting as CO filters which clean the air. The building's shaft contains flats, offices, public purpose institutions, sport and recreation facilities, an eco-farm and technical premises. The centre of building's arbour is empty, which allows natural light to reach within the building and plants can be cultivated there. 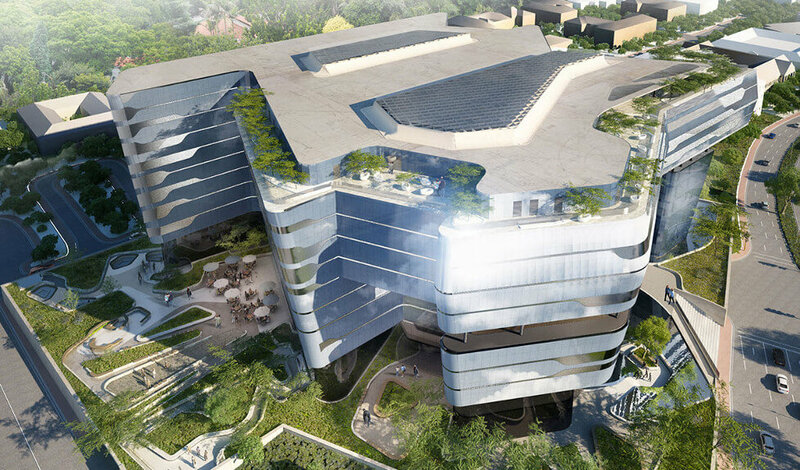 The “natural ventilation” system enables the main building of the headquarters to get by without heating or air conditioning for three quarters of the year. The campus is going to be supplied with energy entirely derived from renewable resources. The building is equipped with solar panels which are supposed to cover all energy demand within the complex (over 16 MW). Green areas are supposed to constitute 80% of plots used to build the campus (there are going to be 9,000 trees growing there). Smart management systems automatically regulate not only lighting, but also air conditioning, blinds, the use of water, stairways and lifts at this place. Around the complex and on its roof, there is a green area composed of local plants. Sasol Place became a place for the biomass of wild animals, insects and birds. 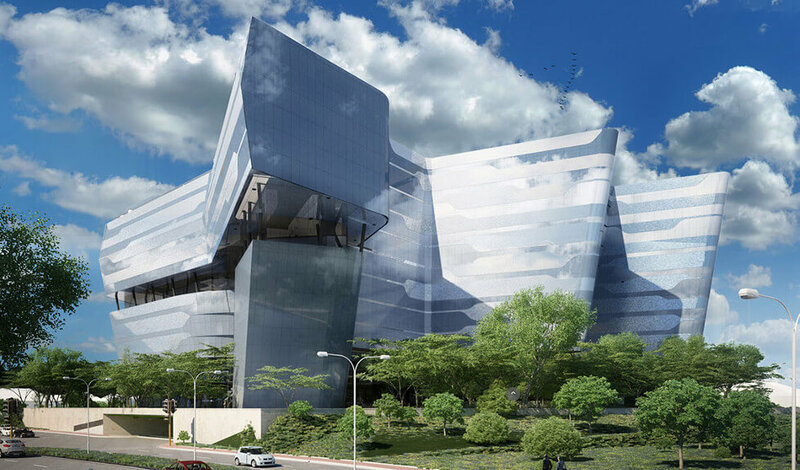 The glass lining of the building increases its aesthetic value and its ability to blend in with its surroundings. 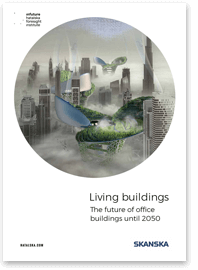 fully described factors influencing the future of office buildings.